Order will ship in 1-3 business days. Built to last, our traditional "H" frame design blends comfort with structured integrity. Manufactured from high quality natural fir in the USA. Fully assembled stands 75" tall with an base of 25" wide and 30" deep. 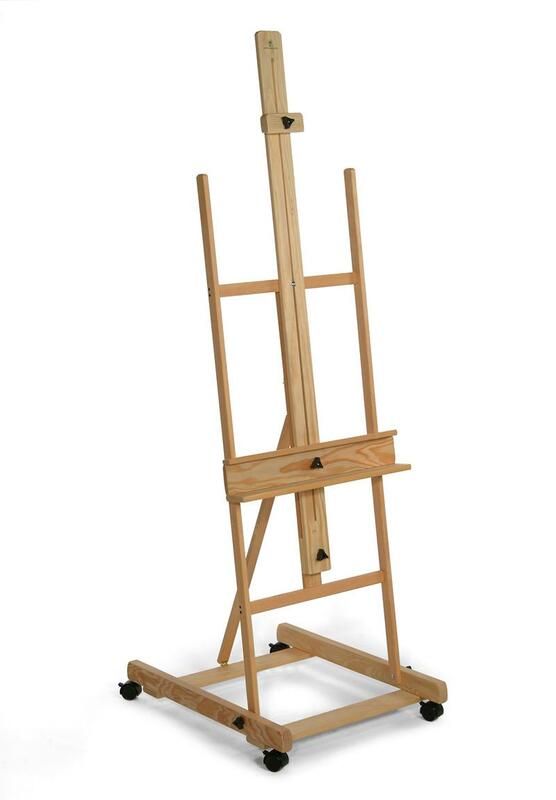 This easel will hold a canvas up to 70". Equipped with adjustable canvas grippers, easy turn knobs, non-skid rubber feet and brush tray. Will fold flat for storage. Weight 21 lbs ~carton size 60" x 23" x 3"
Maybe for this price I should've expected low quality. This easel is not rugged enough to really use. 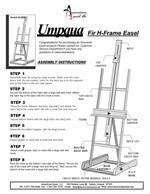 It could work for display only, but actually painting at this easel would surely break it within a year! Many of the pieces are made of very thin wood. The pre-drilled holes are placed so poorly that they do not line up and in places actually split the wood. As far as I can tell, there is actually a hole missing! There is no hole for attaching the bottom gripper! 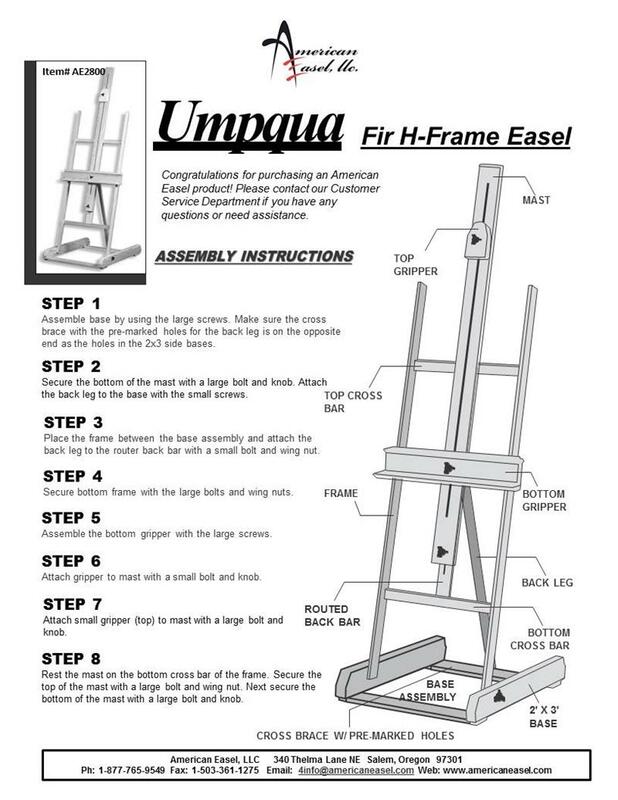 The directions are so incredibly vague and there is only one picture, which is of the fully assembled easel. So there are no other perspectives, or close-ups, or step-by-step pictures. Very dissappointing!